ITOGON, Benguet – The Provincial Mining Regulatory Board (PMRB) declared Thursday a 64-hectare Minahang Bayan area in this mineral-rich town which will be operated by a pocket mining group that had been following up the matter to serve as their main source of livelihood. PMRB chairperson and regional director of the Cordillera office of the Mines and Geosciences Bureau (MGB-CAR) Engr. Fay Apil said that 56 hectares of the applied area is within the patented mineral claim of Benguet Corporation (BC) which qualifies the said area to be a Minahang Bayan site while the 8 hectares that falls under the company’s Application for Production Sharing Agreement (APSA) will still be subject for the conduct of the required free and prior informed consent (FPIC) for the applicant to secure the consent of the affected indigenous peoples (IPs) before the same will be included in the declared site. “The operation of the Minahang Bayan depends on the ability of the Luacan Indigenous Pocket Miners Association to comply with the requirements of their mandatory small-scale mining contract that will be issued by the MGB-CAR,”Apil stressed. The declared Minahang Bayan site which is within the jurisdiction of Barangay Luacan is the first-ever pocket mining site that will be existent in the Cordillera Administrative Region (CAR). The MGB-CAR official disclosed that among the requirements that must be complied by the applicant organization include the environmental compliance certificate (ECC), simplified environmental plan, mining plan, safety and health plan among others before the agency will issue the small-scale mining contract to the LIPMA, one of the existing pocket mining associations in the locality. According to her, the decision to declare the Minahang Bayan site is pursuant to the provisions of Republic Act (RA) 7076 or the Peoples Small-Scale Ming Act of 1991 in relation to the provisions of RA 7942 or the Philippine Mining Act of 1995. Apil explained the declaration of the Minahang Bayan site that was applied by the LIPMA need not to pass through the FPIC for the 56 hectares within the patented mineral claim of the century-old mining company because the group was able to secure the consent of the mining firm while it will have to pass through the required FPIC process for the 8 hectares that is outside the patented claim and within its APSA. She revealed the PMRB was able to process other pending applications for the declaration of Minahang Bayan sites in the different parts of the province but one of the major requirements that the applicants must comply is the consent from the IPs who will be affected by their prospective operations. 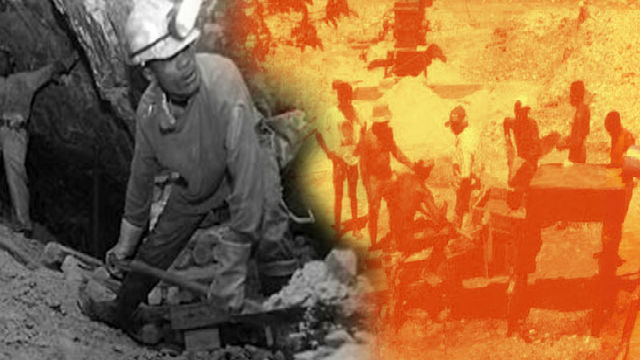 On the other hand, Apil claimed that the PMRBs in other provinces already started working on the processing of the declaration of Minahang Bayan sites in their areas of jurisdiction pursuant to the marching orders of Environment Secretary Roy Cimatu for the immediate declaration of pocket mining sites that will legitimize the operation of illegal small-scale mining operations in their places.